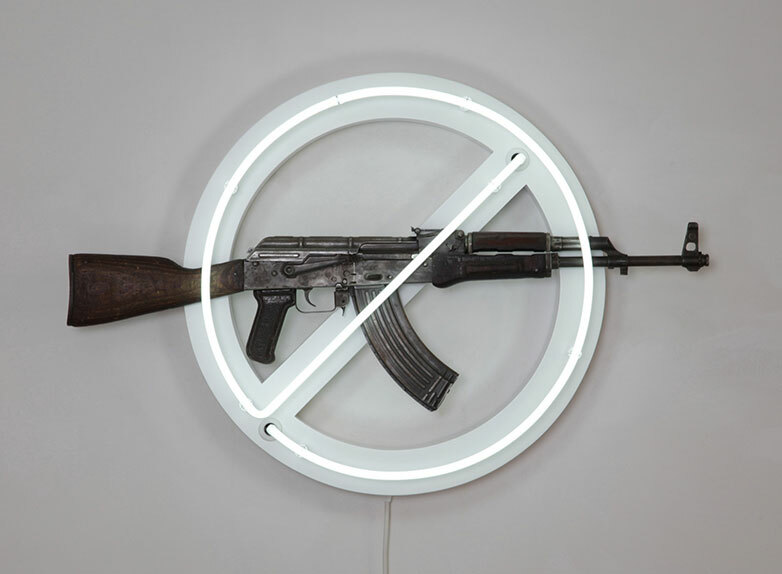 Deactivated AK47, painted steel, neon and associated electronic components. 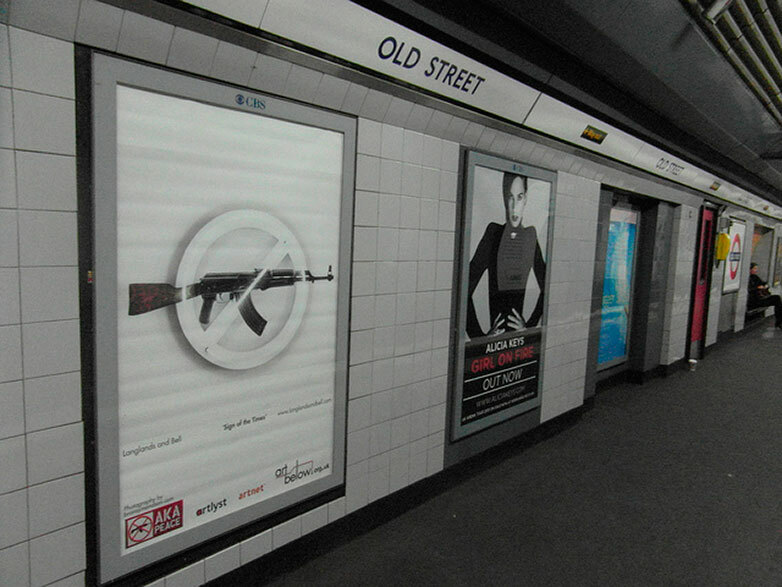 Sign of the Times was made to Benefit Peace One Day and exhibited in AKA Peace an exhibition of AK47s re-imagined by contemporary artists at the ICA, London from 25th – 30th September 2012. 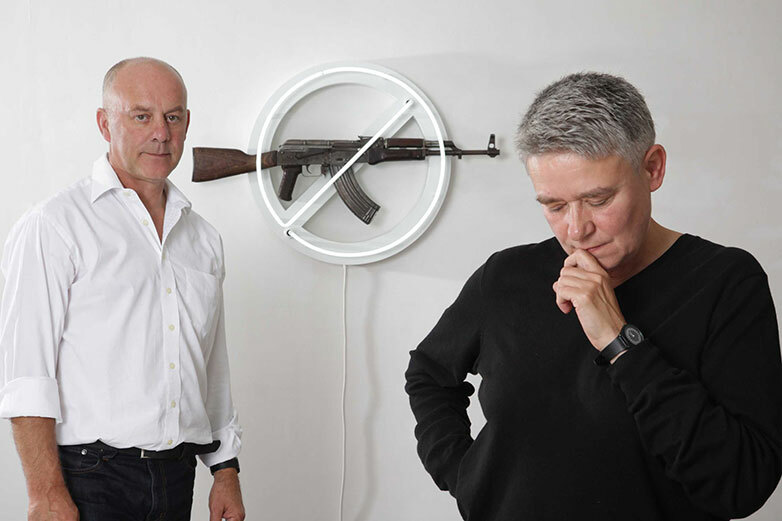 The exhibition was followed by a benefit auction at Philips de Pury on 4th October. All proceeds from the sale went directly to the Peace One Day Global Truce 2013 Campaign.